ProQuest Central is the largest, multidisciplinary, full-text database available in the market today. This resource provides access to 40 of ProQuest's complete databases, with a variety of content types across over 175 subjects, making this the broadest single research resource in the world. ProQuest Central brings together many of our most used databases to create the most comprehensive, diverse, and relevant multidisciplinary research database available. It provides access to databases across all major subject areas, including business, health and medical, social sciences, arts and humanities, education, science and technology, and religion. 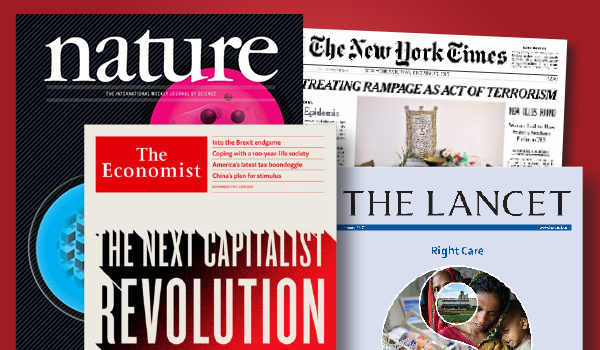 The collection includes thousands of full-text scholarly journals, newspapers, magazines, conference proceedings, working papers, and market reports all together on a powerful, user-friendly platform. The native interface for ProQuest Central is the ProQuest (Academic) Platform. Use this guide to learn more about the content included in ProQuest Central and to see how it functions as a stand-alone product. 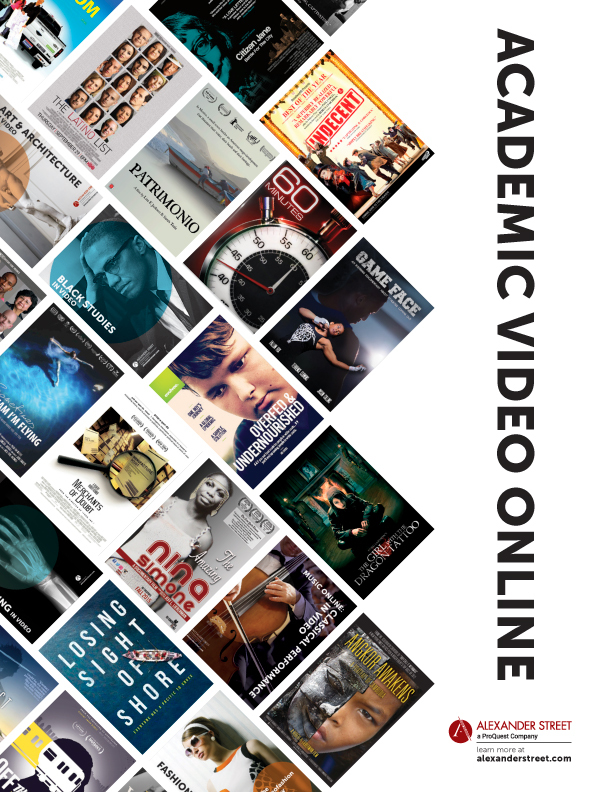 Academic Video Online provides unlimited remote access to more than 63,000 (and growing) videos all cross-searchable from a single platform. The database includes scholarly video material of virtually every video type: documentaries, interviews, performances, news programs and newsreels, field recordings, commercials, demonstrations, original and raw footage including tens of thousands of exclusive tiles. There are thousands of award-winning films, Academy,® Emmy,® and Peabody® winners along with the most frequently used films for classroom instruction, plus newly released films and previously unavailable archival material. The native interface for Academic Video Online is the LAZR platform. Use this guide to learn more about Academic Video Online in the native interface and to learn more about the product content. Academic Complete offers libraries a critical mass of ~150,000 multidisciplinary ebooks with unlimited, multi-user access, powerful research tools and DRM-free chapter downloads. Because we focus on quality over quantity and never add fillers, a higher percentage of our titles are likely to be used for longer periods of time. Academic Complete is a collection of scholarly ebooks from leading publishers. The first subscription product of its kind, Academic Complete is an ideal foundation for a university e-book collection. With coverage in all academic subject areas, Academic Complete is the solution for libraries that want to provide students at all levels and faculty with librarian-curated ebooks essential to successful teaching, learning, and research outcomes. The native interface for Academic Complete is Ebook Central. Use this guide to learn more about that interface. 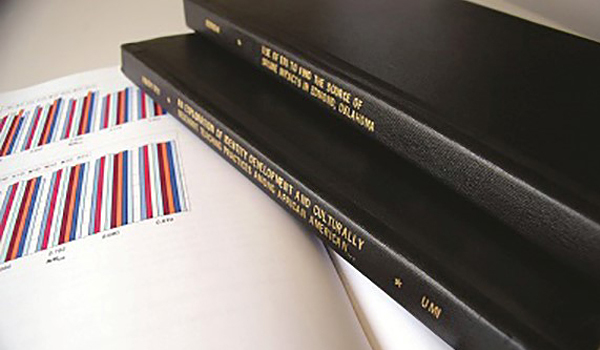 ProQuest Dissertations & Theses Global - with more than 4 million dissertations, PQDT is the most comprehensive collection of dissertations and theses in the world. The database includes bibliographic citations for materials ranging from the first U.S. dissertation, accepted in 1861 as well as European dissertations back from the 17th century, to those accepted as recently as last semester. The native interface for ProQuest Dissertation & Theses Global is the ProQuest (Academic) Platform. Use this guide to learn more about the content included in ProQuest Dissertation & Theses Global and to see how it functions as a stand-alone product.